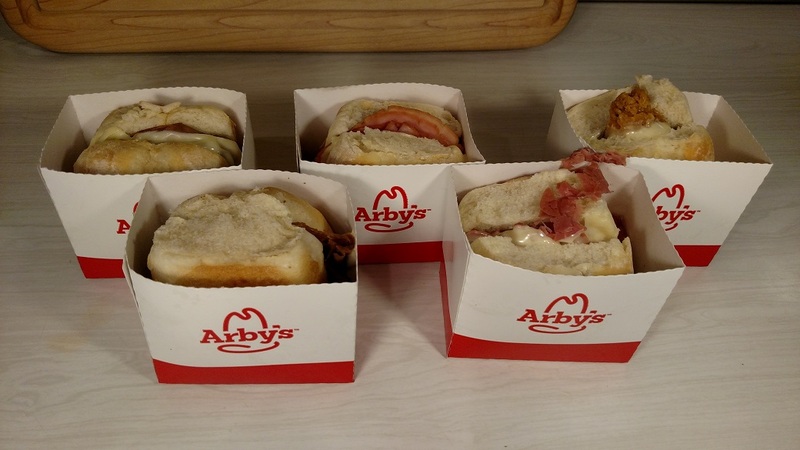 The Fewd Snobs were trying to decide what to review today when we discovered Arby’s new Sliders on the Arby’s website. We are fans of Arby’s, so what to review today was instantly decided. 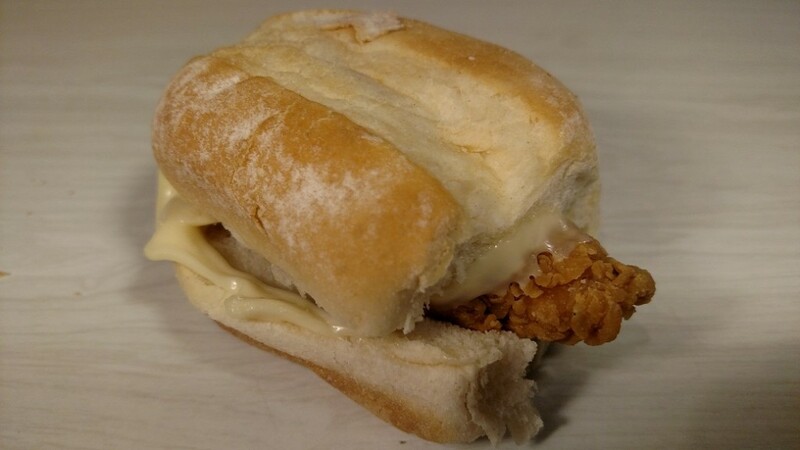 Chicken ‘N Cheese – Features a chicken tender. 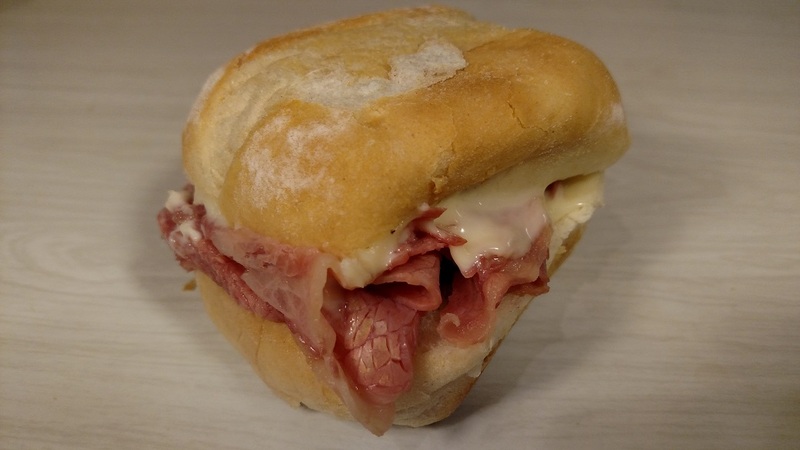 Corned Beef ‘N Cheese – Thinly-sliced corned beef slices. Jalepeno Roast Beef – Arby’s regular roast beef with roasted jalepenos. 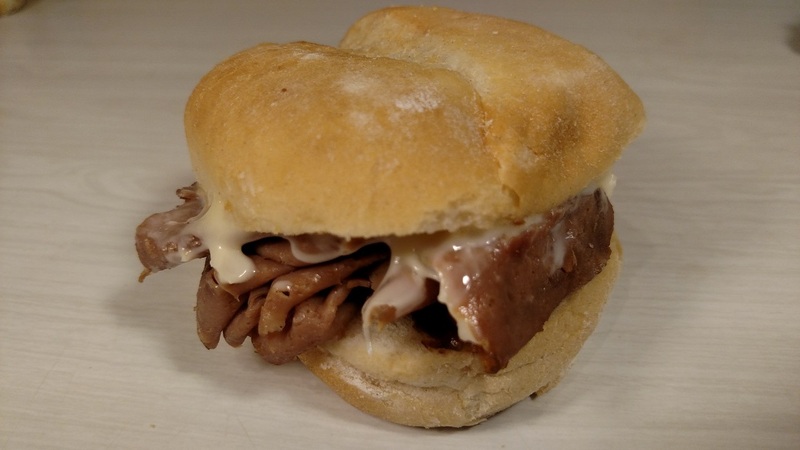 Roast Beef ‘N Cheese – Arby’s regular roast beef. 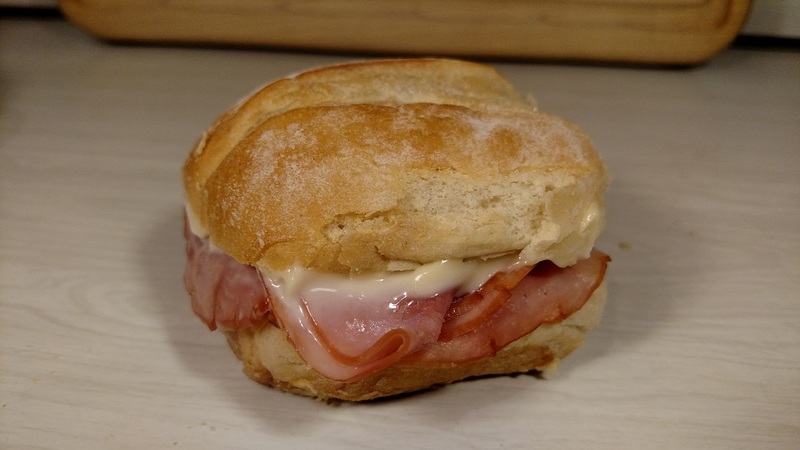 Ham ‘N Cheese – Ham. That is all. Each slider comes with cheese. It is kind of an “American Swiss,” if you will. It is processed cheese like American, but tastes kind of like Swiss. Le’s start with the bread. The rolls are soft. You can see quite a bit of flour on the tops (which Denny despises). Yet, you don’t taste the flour. Which is cool. Despite the rolls being soft, they are actually very good. We are fans. Each sandwich had plenty of meat (with the exception of one). And there isn’t anything fancy about these. There is meat and there is cheese. That’s it. It makes it pretty easy to review, though. They will be either good or not good. And that is all. There really aren’t any surprises here. The meat is Arby’s regular roast beef. We all know what Arby’s beef is. You either like it, or you don’t. We don’t think anybody is in between on Arby’s beef. It is processed. But it is that unique Arby’s processed stuff. And it is good. We like this slider. Because it is good. Easy enough. 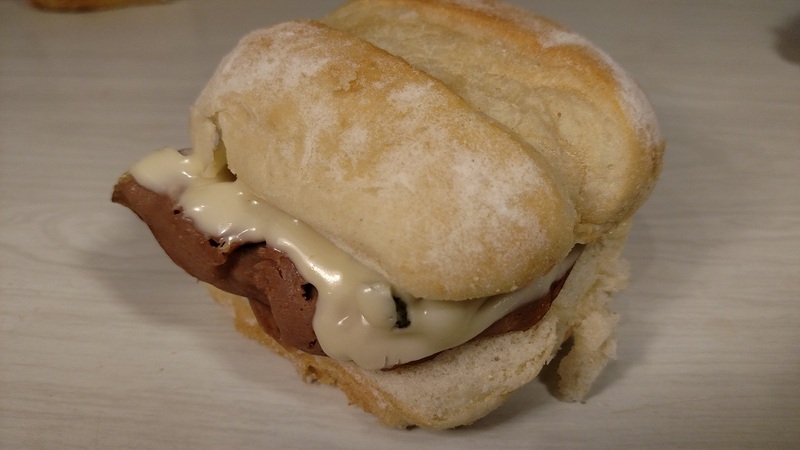 This is pretty much the same as the roast beef version, but with jalapenos. Big surprise, eh?? Denny was afraid to try it (his guts are torn up from the stress of being a broke writer! ), but Herman gave it a go (HO HO!) First of all, notice that Arby’s is fire-roasting the jalapenos. This makes them different than most sandwiches with jalapenos that use the regular pickled kind. Herman says that these have a fresh jalapeno flavor to them. He says there is a decent amount of heat to the sandwich. Overall, he says it all blends well. Finally, he says because of the third ingredient, it really stood out from the others. Good sandwich. If you have had the Ham Melt at Arby’s before, then you pretty much have already tried this slider. It is Arby’s processed (but good!) ham, cheese, and that’s it. We like the Ham Melt, so we like this. What the HELL is going on here?? Take a minute to scroll to the top of the page to look at the poster again. See how it looks in the professionally shot poster? 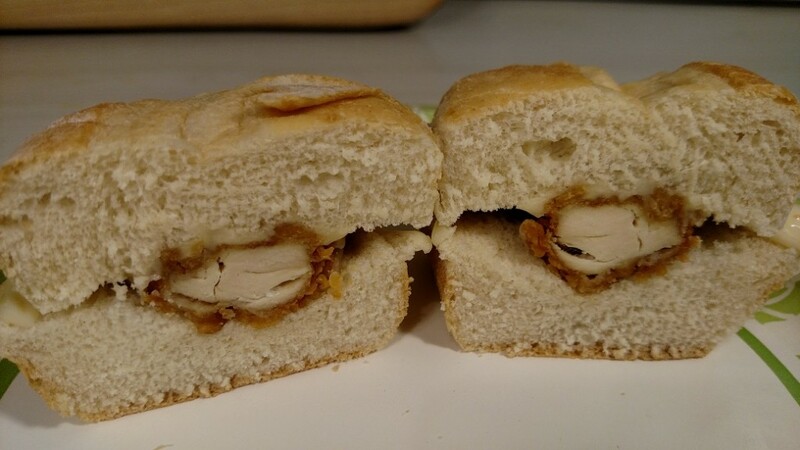 See how the chicken is overlapping the bun?? Now, look at the pic directly above again. Look, we don’t expect the real food to look like the pics. But seriously, Arby’s. WTF? Yes, it is a chicken tender. But you can see that most of the sandwich is nothing but bread. There is barely any chicken on it! If this is how it is gonna be, at least put two tenders! The saddest part of this one is that the chicken was actually good! It is good, white meat. The breading is crunchy and has a good flavor. But there just isn’t enough of it. It’s kind of a joke. Finally, the sandwich is a little dry. Well, it is more than a little dry. It is kinda like eating sandpaper while eating about 10 saltine crackers at the same time. In the desert. Skip this one. For real. This one is probably our favorite of the bunch. The corned beef is GOOD. And it isn’t processed. This is real corned beef, kids. It blends perfectly with the cheese. There is plenty of meat on it (HO HO!) It is pretty juicy, too (HO HO!) And because there isn’t anything else on the sandwich, the corned beef flavor really comes through. We highly recommend this one. This is the part where we talk about the value. 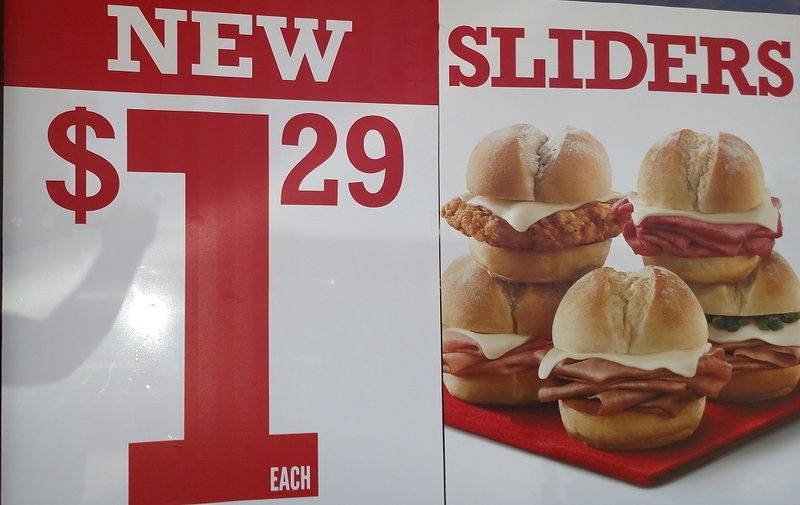 Each slider, as mentioned, is $1.29. A little steep? Maybe. But this is Arby’s, after all. Nothing is cheap. Despite the cost, we think it is worth it. But not the chicken. That one is CERTAINLY NOT worth the money. The others are, though. You could get 5 of these, add fries and a drink, and the total would be about 10 bucks. That would be a FULL meal, and typical Arby’s prices. Overall, we are fans of the new Arby’s Sliders. We think of Arby’s as a notch above your typical fast food joint. These sliders don’t disappoint. There was no indication that these are limited time only. We hope they are truly a permanent menu item. We will get these again. Arby’s, please sponsor us so we can keep affording you fewd!!! Wish I had read your review before wasting my money. I had the chicken tender (not slider)… and it was pretty much exactly as you described it. DRY, DRY DRY and no chicken (?) to even speak of. Since this was the first slider I had tried and it was soooo bad….I won’t even be tempted to try any of the others. Arby’s should definetly delete these from their menu. the Arby’s near me does a Happy Hour from 2-5PM where sliders and drinks are $1. makes it even more worth it. my chicken slider had more meat than that, i think you just got unlucky. ask for a (free) BBQ sauce packet to pur on top of it and its a pretty good $1 sandwich. 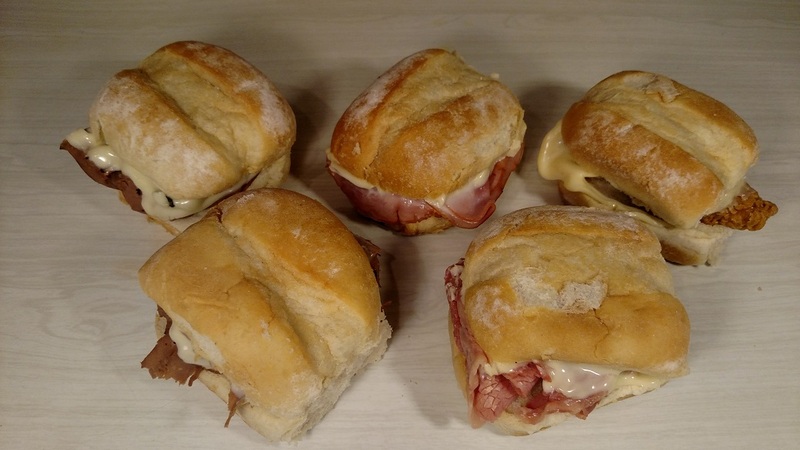 the other sliders also benefit from sauce dipping. i’ve only tried Arby’s sauce with the other ones, but honey mustard or something might work pretty well too. I bought 1 each of the sliders when they came out. The pictures looked awesome. HUGE Disappointment! Rip Off! As usual the product does not match the marketing. Worst sandwhich I’ve had in a long time. I had the roast beef slider. It’s a tiny pile of roast big, covered with a glob of tasteless white cheese on what looks and tastes like a half baked dinner roll. Horrible.